Modern “smart” buildings require a plethora of sensors to be installed at various locations during the construction phase. Wiring costs and limited flexibility of installation make wired installations less attractive. An alternative, flexible, approach is to introduce wireless sensors and endow them with ways to harvest energy from the environment such that they attain the same “zero cost” of maintenance as their wired counterparts. 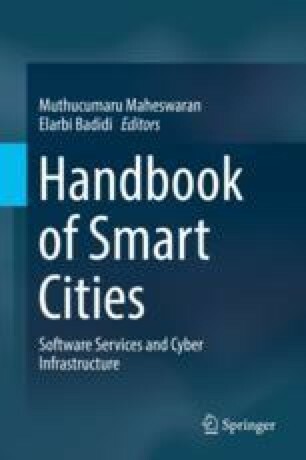 The chapter reviews the sensing needs of smart buildings, and the related merits of energy harvesting to power embedded wireless sensor nodes. A proof-of-concept device exploiting thermoelectric harvesting is designed, built and tested to demonstrate how todays wireless sensing devices enable sustained continuous operation with minor energy harvesting requirements. In multi-hop environments, the underlying optimization problems are described and simple strategies that forego the solution of the hard computation problems but appear effective are outlined. ti.com, “A fully compliant zigbee 2012 solution: Z-stack,” http://www.ti.com/tool/z-stack, 2012, [Online; accessed January 2014].